Several serious vulnerabilities affecting Moxa’s MiiNePort embedded serial device servers have been disclosed by ICS-CERT and the researcher who discovered the issues. 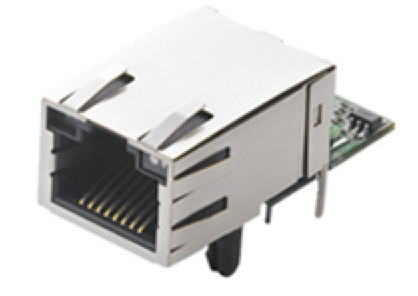 MiiNePort are embedded serial-to-Ethernet device server modules mainly deployed in the United States and Europe in the commercial facilities, critical manufacturing, energy and transportation sectors. Security researcher Karn Ganeshen discovered that MiiNePort E1, E2 and E3 models are plagued by at least three vulnerabilities. One of the flaws, tracked as CVE-2016-2286 and assigned a CVSS score of 7.5, has been described as a weak credentials management issue. The Moxa product is not protected by a password in its default configuration, allowing a remote attacker to gain full administrative access over HTTP or Telnet. Ganeshen believes MiiNePort should force users to set a password on the first login and ensure that certain complexity requirements are met. The researcher said users should also be required to periodically change the password. Another high severity vulnerability is related to sensitive information, including passwords, being stored in clear text in the device’s configuration file (CVE-2016-2295). This allows attackers to remotely access the information via HTTP and Telnet. “The application should mask/censure/encrypt any sensitive information such as passwords, keys, strings, etc, both at the management portal forms as well as in the device configuration files. Additionally, secure transport must be used by default (TLS),” Ganeshen said in an advisory published on his personal blog. The last issue found by the researcher is a cross-site request forgery (CSRF) vulnerability that allows malicious actors to perform unauthorized actions on behalf of the user (CVE-2016-2285). An attacker can exploit the flaw to change passwords and configurations, and reboot the device. According to ICS-CERT, Moxa will release a beta patch firmware later this month to address the vulnerabilities. In the meantime, the vendor recommends disabling HTTP and Telnet ports, and restricting access to other ports. Ganeshen has analyzed the products of several ICS vendors and found vulnerabilities in devices from WAGO, Schneider Electric, GE Industrial Solutions, XZERES, Nordex, Meteocontrol and eWON. The researcher believes that product security is not a priority for most ICS vendors. “I feel ICS products are essentially, waiting desperately, to be exploited by threat actors. While it is understood that these products cater to critical infrastructure and their continued availability and operations are essential; it is also important to be aware that these products do not always operate standalone, but rather are one component in the bigger solution,” Ganeshen told SecurityWeek. “Whether the threat actor is an independent attacker (or group), or a state-sponsored team, all that is needed to gain initial foothold into a CI network is one weak link in the overall setup. Compromising one such vulnerable component can lead to passwords (which may be reused elsewhere in the network), configuration files, end user clients (via browser), and eventually deeper access to other ICS components, servers and applications (pivoting),” the researcher added.